Two more Intervention Applications have been filed before the Supreme Court seeking independent probe into CBI Special Judge Brijgopal Harkishan Loya’s death. One Application has been filed by Former Chief of Naval Staff, Admiral Ramdas and the other by the Youth Bar Association of India (YBAI). 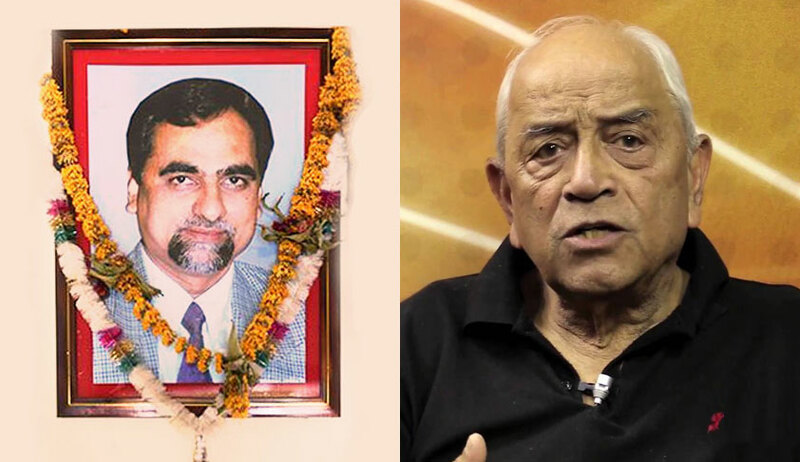 Admiral Ramdas had already sent letters addressed to Chief Justice of India Dipak Misra and Acting Chief Justice of Bombay High Court Justice V.K. Tahilramani seeking their intervention in the matter. He has asserted that a high level judicial enquiry or a probe by a Special Investigation Team (SIT) be directed, "to thus restore public confidence in the image of the judiciary and the highest court in the land – i.e. the Supreme Court". He has further explained, "I have already written expressing my strong discomfort at the series of disclosures and conflicting versions regarding Judge Loya’s sudden and untimely death. The recent Press conference by four of the senior most Judges of the SC only confirmed my own fears that all was not well – and therefore this writ, as a Public interest Litigation, seeking the Courts Directive to set up a high level judicial Enquiry under the direct monitoring of the SC. I am hoping that by so doing, I would add further weightage to the pleas already made, to inquire into this matter without further delay and further damage to our institutions." Senior Advocate Indira Jaising had mentioned the matter on January 30 before the CJI. The Application filed by YBAI asserts that the allegations leveled by the Petitions raise "question marks on the independent functioning of the lower judiciary". It further contends, "death of the CBI Judge and further developments in the case has created an impression in the minds of the public at large that something suspicious has happened in the matter which requires to be unearthed in the larger public interest." The All India Lawyers Union (AILU) has also filed an Intervention Application in the matter, highlighting the "threat" being faced by the "independence of the individual judges and the collective independence of the judiciary as a body" with the surfacing of the allegations. Pointing out that Mr. Amit Shah is now the chief of the ruling party, the Application then highlights the need for an independent Court-monitored investigation into the incident. It further demands that Judges hearing "sensational cases" be provided 'z-category' security on their request. The Collegium, it said, should then recommend it to the Government. Besides, AILU has also prayed for guidelines on Judges taking up offices of profit after retirement. It had earlier adjourned the proceedings after the Maharashtra Government had filed all documents pertaining to it before the Court in a sealed cover. The Bench comprising Justice Arun Mishra and Justice M. Shantanagoudar had also asked Senior Advocate Harish Salve to provide copies of the documents to the Petitioners- Mr. Banduraj Sambhaji Lone and Mr. Tehseen Poonawalla. The Court had then directed the matter to be placed "before the appropriate bench", hinting towards the PIL being moved to a new Bench.